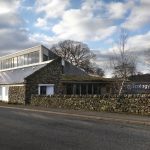 Mark has been involved in construction for over 30 years, initially as a site carpenter and then doing his own developments of barns and new builds. 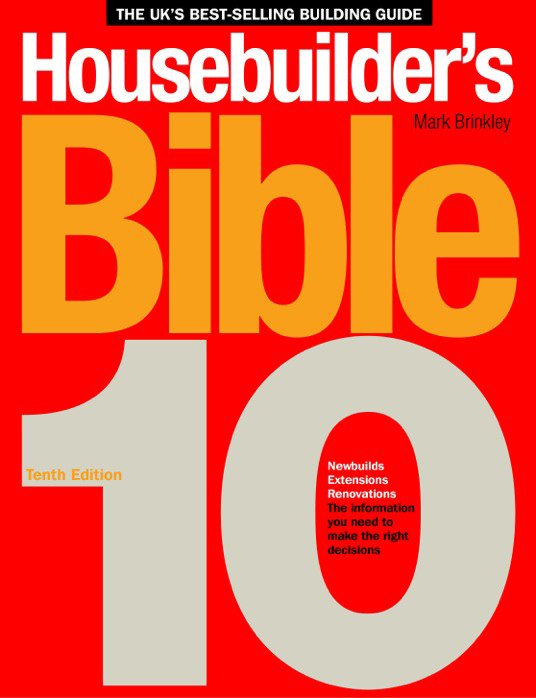 In the 90s he decided to write about the process and produced The Housebuilder's Bible, which has been a popular resource for people wanting to find out about the practicalities of building a house. It's revised every two years and is approaching its 10th edition. Mark includes prices in his book and says that, funnily enough, they don't vary that much – the things that really change are people's tastes and also the regulations. Incrementally there are more codes, and changes to building regulations and planning. He concludes that it seems to get more complicated! 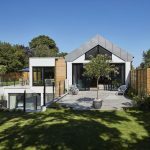 In the 80s and 90s there were straightforward choices, such as choosing between timber frame or brick and block, but now there are many options. Mark talks about using Boulton and Paul windows in every house in the early days, whereas now there's a huge selection from which to choose. Not only are products available from different countries, but they perform to different standards. Mark praises self builders for their enthusiasm and ability to learn, often picking up things that people in the trade close their minds to. However, this can lead to taking on ideas that look good on paper but turn out to be very difficult in practice. Building Your House is Like Choosing a Holiday Abroad! Mark talks about compromises and having to jump one way. It’s like going to Italy for a week! If you take in Venice and Rome, it means you miss Sienna and Bologna and Naples, and all the other good things. Perhaps at the end of the holiday you’ll end up thinking that you've just scraped the surface. Mark suggests that building a house is a people business. The people with whom you get on are generally those who guide you. Whether that is actually a good approach or not is impossible to know. Very often connections are made at shows or you meet people or friends that have done it. This subtle influence can often have a major impact on the project. 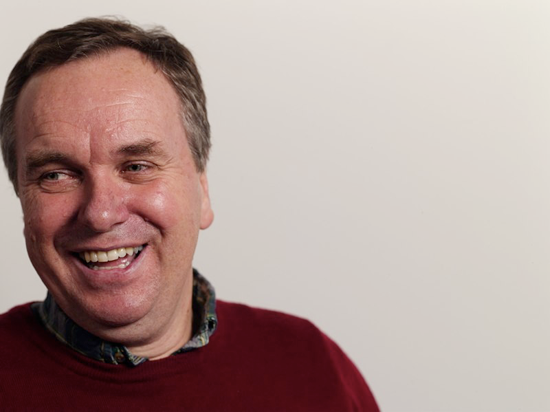 Over the last few years Mark has been working with Ted Stevens and NaSBA to help promote self build in the UK. 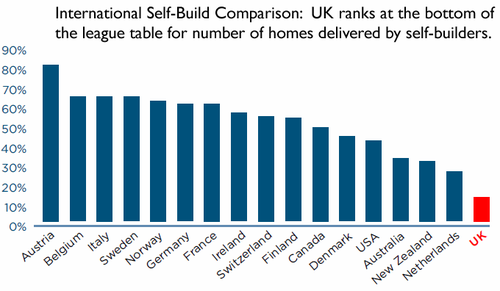 While 10-15% of UK houses are self built, in many European countries that figure is around 50%. In fact, this approach is so common that they don’t even refer to it as being self build, it’s just how they build houses! 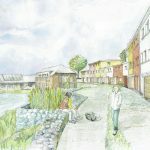 In the UK, the system sees the land owner and their agent (usually a volume house builder) promote schemes to the council. The council arbitrates, giving a yes or no. If it goes ahead then they try to claw back as much as they can in tax from the deals. Subsequently there is a huge uplift between the value of agricultural land, which is worth a few thousand pounds an acre, and the land now for house building, which could be worth a million pounds an acre. Any British farmer that can sell off a field as a building plot effectively wins the lottery! The rest of the village feels cut off from this process and also perceive the farmer as being greedy. This is where the acronym NIMBY (Not In My Back Yard) comes into play. What happens in Germany is completely different. In Germany, the councils almost have a system of compulsory purchase. Once land is identified, the farmer gets a small premium for losing it and then the council divides it up into serviced plots. These are then sold to local people as a priority. The owner of each serviced plot will visit a show house village to choose exactly what he or she wants. 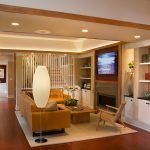 This creates competition between the 150 (often family-run) custom home builders, who each only deliver a few hundred homes a year. This competition also keeps building standards high. So, there's a lot more choice for the person who wants to build: from choosing the plot to deciding exactly what goes on it. Mark gives an example of a Cambridge development from the 1930s where the council actually laid out the street and then self builders and small local developers took it from there. Somehow through the years the British system has changed. The council’s have now become box tickers and tax collectors. Their interest is in the number of units, the road infrastructure and the schools, etc. 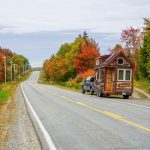 While the UK's new housing has a reputation for being the smallest in Europe, with little or no gardens, it is a more sustainable situation! Towns don't tend to sprawl as much, brown field sites are developed and people can walk to local amenities. But does the German's looser, more organic approach actually create better places to live? There’s a lot of evidence that a house with a big garden has a lot more biodiversity in it than a field that it might have replaced. This is a view that is rarely considered in the UK. Instead, development gets equated to more countryside going under concrete! The attitude to wind farms is also very different in Germany. While 99% of the UK's population don't want wind turbines near them, the Germany system creates an incentive. Profits from the wind turbines are shared with the village as well as the people putting the scheme forward. Although land is nominally privately owned, it is controlled by the council, sometimes by the state, and affected by the neighbours! It’s not quite a free market and it’s not quite state controlled. Driven by the free market in the UK, we are less likely to interfere in the land. Paradoxically we’ve ended up with all the deals being done with big landowners and developers, and the little guys getting cut out of the system. Whereas the Germans have been far more interventionist they have ended up with a freer market and a much better functioning market! They don’t have the huge boom and bust of the UK housing market. They build better homes and seem to satisfy what people want. The only spec building that goes on in Germany is when apartments are constructed in cities. Clearly the custom build model would not work for a complex structure like this. Almost everything out in the small towns and the countryside is just done by individuals working with all these house building companies. Whereas British councils invite objections from neighbours, in Germany you're expected to resolve any issues with your neighbours face to face. You must go around to your neighbours and talk it through. British culture seems to have developed an adversarial approach, particularly when it comes to planning! Mark likens the prospect of changing the UK system to turning around a super tanker – it couldn't happen overnight. The industry doesn’t exist. It would take years of much more conciliatory planning for the confidence to build up for these businesses. Of course, there’s no reason why it couldn't happen in theory. While it is clear that factory building can continue in all weathers and is much more efficient, it hasn't really ever taken off in the UK. There’s more of it in self build than there is in mainstream building. Part of the concern is due to the huge capital investment needed. If the market has a steady demand then that is one thing, but the UK's boom and bust extremes make it a realistic that you could go out of business in the bad times. UK councils have to stop being frightened of the way the system is at the moment and become much more interventionist. Some councils are taking on board the idea that land should be retained for self builders. Mark talks about some great examples in Shropshire, where they’re even including self build in their affordable housing quota so they can actually bring forward schemes that they know developers aren’t going to get into. While the UK government have supported the idea of creating more self build opportunities, Mark's closing thoughts are that the government doesn't see the reverse of the situation. To get more self build will mean a reduction in the amount of spec build. As spec builders have long arms in deep pockets and are very effective lobbyists, it’s hard to see them giving up their grip on the system as it now exists.